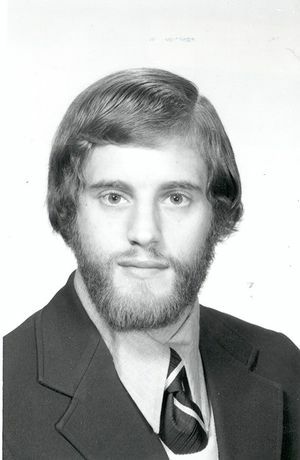 Michael Rodney Portnoff was born in 1949 in Newark, New Jersey and attended school in West Orange, N.J.
At MIT Mr. Portnoff was enrolled in the honors program in Electrical Science and Engineering and the cooperative program with Bell Telephone Laboratories, Murray Hill, N.J. He was elected to Eta Kappa Nu, Tau Beta Pi, and Sigma Xi; and in 1973 received simultaneously the S.B., S.M., and the Electrical Engineer degrees. As a graduate student at MIT Mr. Portnoff's academic interests have included digital signal processing and communication. He has been a teaching assistant for undergraduate and graduate courses in signals and systems and for special courses in digital signal processing. He is currently working on his doctoral dissertation exploring high-quality time compression and expansion of speech signals. Mr. Portnoff pursues a variety of non-academic interests. He enjoys classical music and has played the trumpet in the MIT Concert Band, the MIT Brass Ensemble, and the Harvard-Radcliffe Orchestra. He holds a black belt in Judo; he was captain of the MIT Judo team and is currently an instructor in the MIT Judo club. He also holds advanced certification in SCUBA and an amateur radio license. Mr. Portnoff enjoys outdoor activities including sailing, hiking, cross-country skiing, rock climbing, and winter mountaineering.